Fabergé didn't just create the bigger Easter Eggs he was so famous for. He also made small egg-pendants, to be worn on a chain as a necklace. 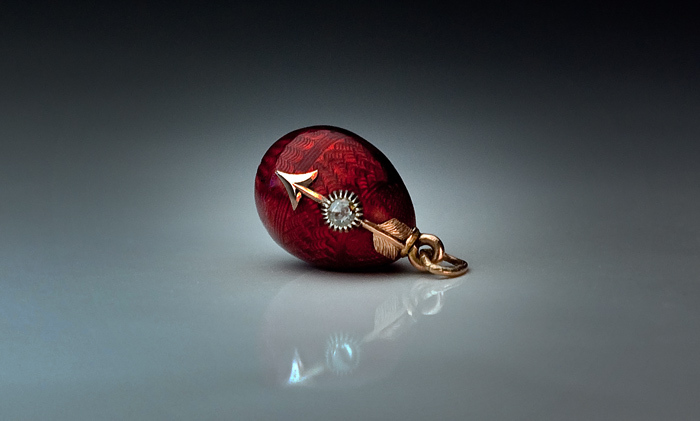 Here is one, an Eternity Egg Pendant, made sometime between 1908 and 1907! 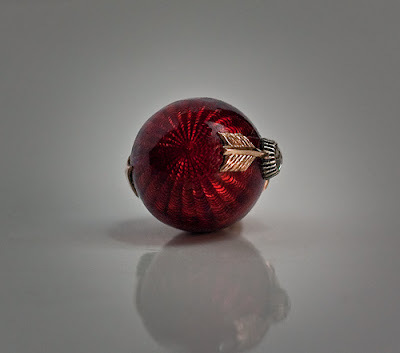 This little egg is covered in strawberry-red enamel over a guilloché ground. On both the back and the front sits a gold arrow, decorated with one diamond each. 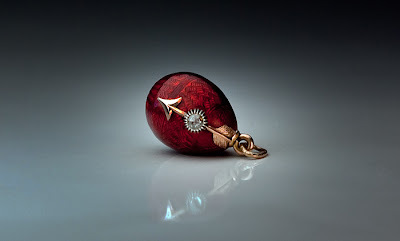 The hight of the egg is 11/16'' (1,8 cm), and it was made by workmaster Henrik Wigstrom. It can be bought at Romanov Russia for 14,000 USD. 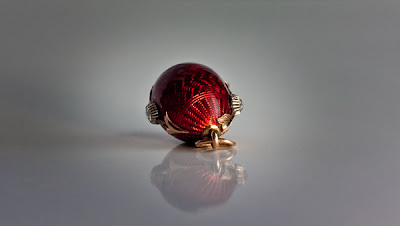 These are so cool, I never knew that they actually made earrings in the egg shape as well as the big eggs, how awesome.